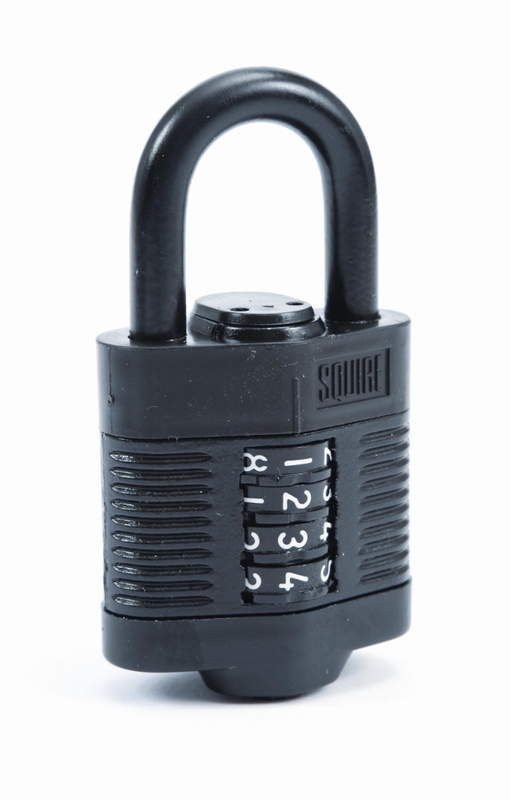 Open Shackle Combination Padlock. 45mm width, 8mm diameter. Black body, zinc plated and hardened shackles. Recodable combination with over 4,000 variations. 10 year guarantee.